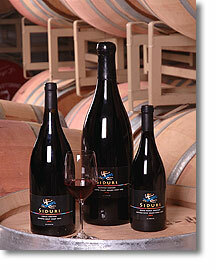 The name “Siduri” is from Babylonian meaning “Goddess of Wine’ eternal life. WS Rating 90 points. This wine is a great value Pinot Noir, consistently rates high. They offer many single vineyard varietals from California to Oregon. Concentrated fruit, mix of berries, floral, plum, cherry, dried herbs, minerals, with a very smooth finish and very soft tannins. This would be a perfect wine for someone who has problems with high tannins. This entry was posted in Pinot Noir and tagged cherry, dried herbs, floral, Goddess of Wine, Pinot Noir, Plum, Siduri. Bookmark the permalink.